I miss cable TV sometimes. Don’t get me wrong. I don’t miss the cable bill at all. However, I do miss the aimlessly clicking around, channel after channel, with the hopes of stumbling on something interesting to watch. I’m probably romanticizing the experience a bit. In this day and age of streaming TV like Netflix and Hulu, not to mention the easy access to on-demand television, the days of mindless channel surfing is pretty much over. now, I have to be intentional about what I want to watch. Now, I have to choose it. It can’t choose me anymore. I like when interesting TV chooses me. In a sea of bad, predictable television, you can always count on PBS to surprise you. And one day, back in 2004, it did. 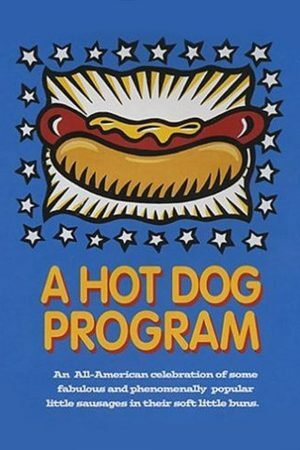 It was called “A Hot Dog Program”. Produced in 1999, it chronicled Documentarian Rick Sebak’s journey across the country showcasing some of the coolest and most interesting hot dog joints. From Atlanta to Chicago to Cleveland to Pittsburgh, Sebak ventured far and wide to introduce us to great hot dogs, the people that make them, and of course, the people that eat them. 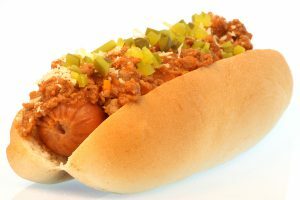 From the channel that gave us the likes of Mr. Rogers, Big Bird, Bob Ross, and Ken Burns, of course, would give us a documentary on the hot dog. But after watching this documentary from start to finish, all I could think about was hot dogs for at least a month after. But earlier this year, I thought about it again. I don’t know why. I wondered if it would resonate the way it did 14 years earlier. and it did. and all I could think about a month after again was eating a hot dog. But timing is everything. I had plans to hit every hot dog joint in Gaston County. That was my plan. until real life got in the way – in the form of some blood work that said my triglycerides were elevated. My diet would have to change. Drastically. and it has. But not to the point where I can’t go out and enjoy a hot dog once in a while if I want. now I look at it as a treat – a delicacy that I am able to delight in once in a while. and these days, it usually coincides with a little road trip. I’d love to be the Rick Sebak of North Carolina and eat a hot dog in every county of the state. From Murphy to Manteo and Cherokee to Chowan, and all points in between. But that means I’d have to eat at least 100 hot dogs. That could take a while. But I’m in no hurry. Rock n’ roller Warren Zevon once remarked that the secret to life is to ‘enjoy every sandwich”. And I agree. I just want to enjoy every hot dog. However, the experts would debate whether or not a hot dog is even a sandwich. I’m not stepping into the center of that controversial debate. I want to be a proud flag bearer of all things good about hot dogs. If I can’t be the Rick Sebak of North Carolina hot dogs, then I want to be the Dr. Seuss of hot dogs. I feel like he, of all people, should have written a book about them. Instead, he was too concerned about the green eggs and the ham. I’ll eat them on the go, or I’ll eat them while I sit. I’ll eat them at the ballpark. Or the flea market. I’ll buy them where they’re bought, and I’ll eat them where they’re sold. I like my hot dog hot. I’ll never eat one cold. I’ll eat one on my way into Home Depot, and I’ll eat one on my way out. extra slaw and chili please. Hold the sauerkraut. And thus, that’s the beauty of it all. All it takes is just one look. Or just one smell. and boom – you’re done. The hot dog has you right where it wants you. 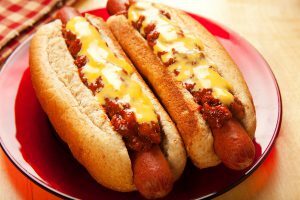 No one wakes up one day being in the mood for a hot dog. They want a good steak or a tasty burger. 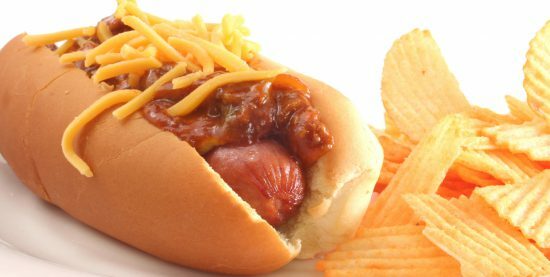 People crave a lot of different things, but rarely do they crave the hot dog. That’s the secret of the hot dog. you may never be in the mood for a hot dog. But they’re always in the mood for you. You don’t choose the hot dog. Like good TV, it chooses you. Every time.